Seriously! This is the one. Tell everybody you know: you can get it Friday for free! This is the first book on healing to harness the power of Facebook. By hosting discussion questions on Facebook, the author has collected the wisdom and experiences of hundreds of divine healing technicians. 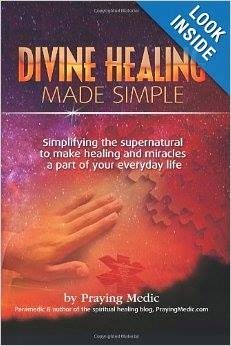 This may be the most comprehensive book on healing ever written. Miracles are happening every day through the prayers of average men and women on the street and in workplaces. This book celebrates what God is doing today and shows you how miracles, signs and wonders can become a part of your everyday life. You’ll be encouraged and given hope by the testimonies and dreams you’ll read about. This is the time: Share this with your friends, please.